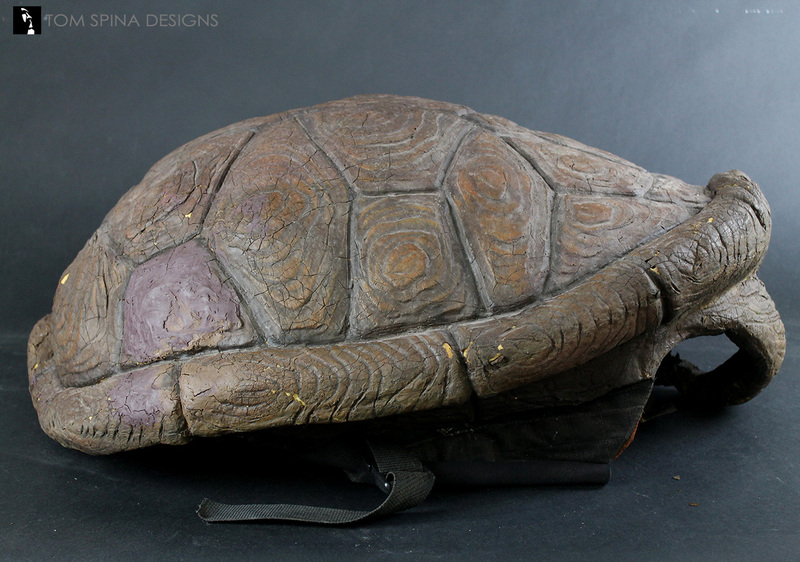 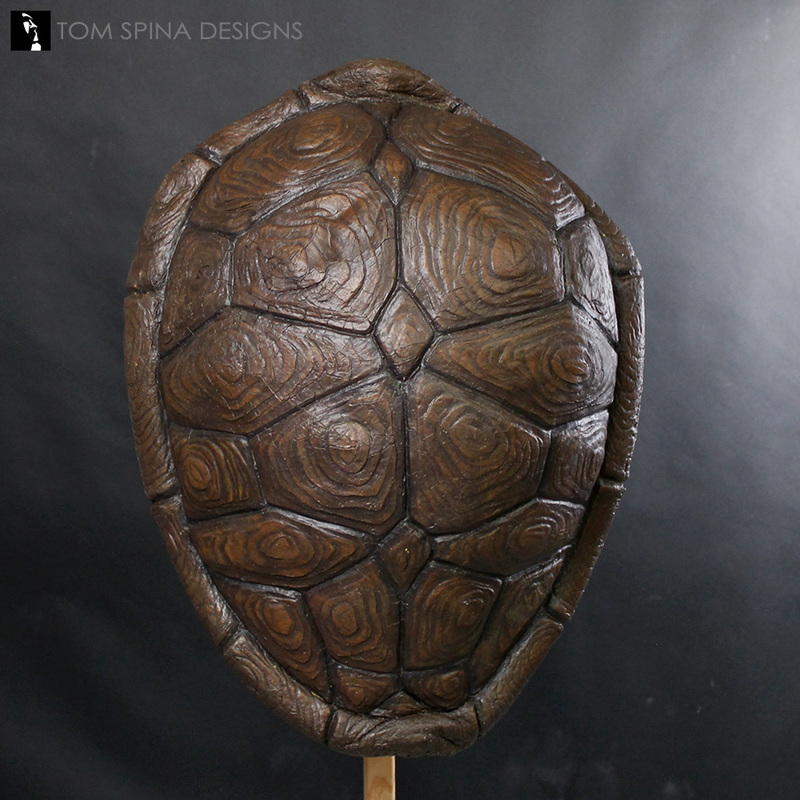 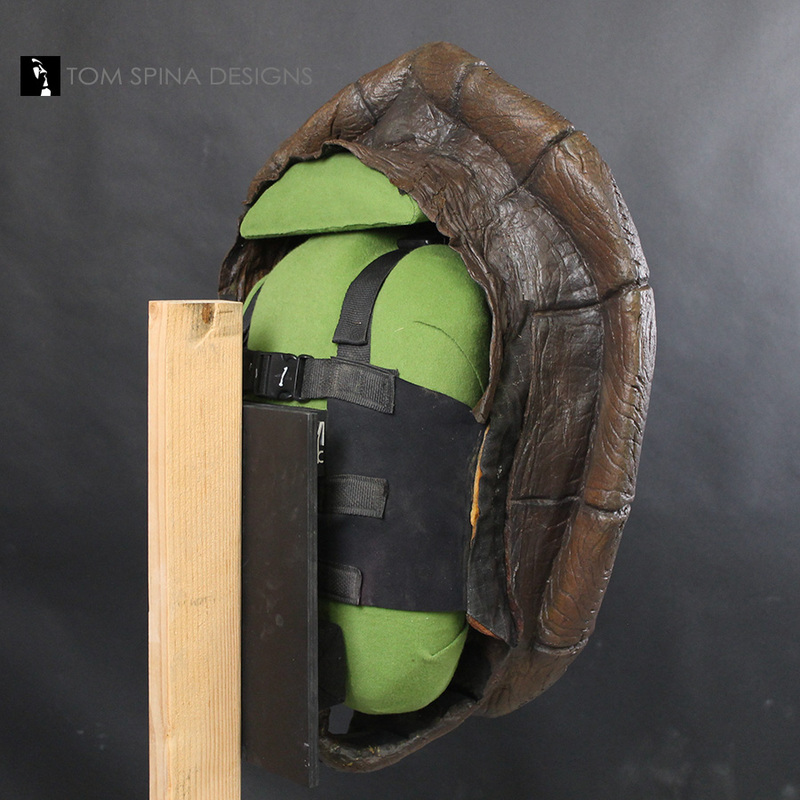 A restoration of a TMNT costume shell from the live action series. 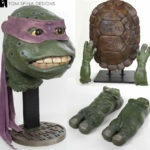 This original prop TMNT costume shell came from the live action television show Teenage Mutant Ninja Turtles, The Next Mutation. The tv costume shell was in fairly good overall condition but was showing some typical signs of aging for foam latex. 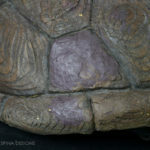 In addition, there were a few areas which had been previously patched with non-drying oil based brown clay. 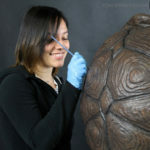 Our first task was carefully clean the prop and then to remove the clay. Over time that could prove detrimental to the foam and was always going to be prone to damage during handling. 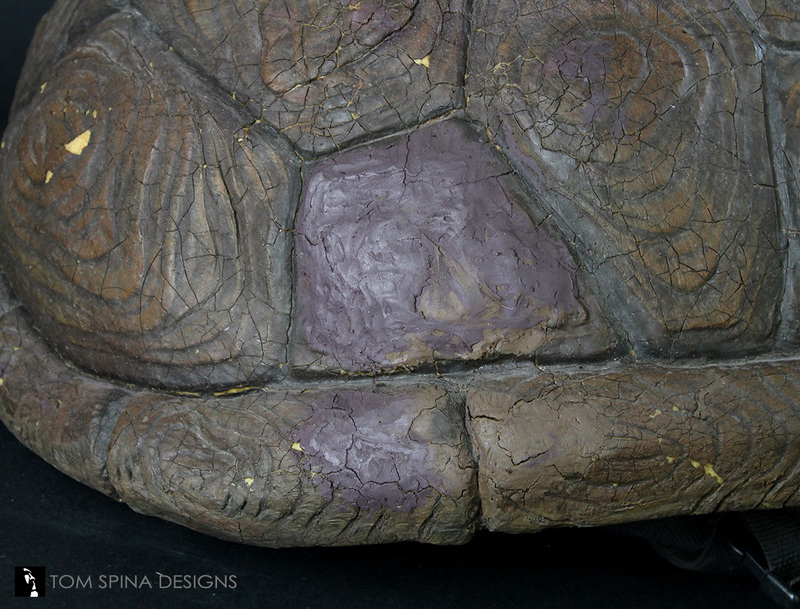 Once the clay was gone, we began patching the missing areas of skin on the TMNT shell. 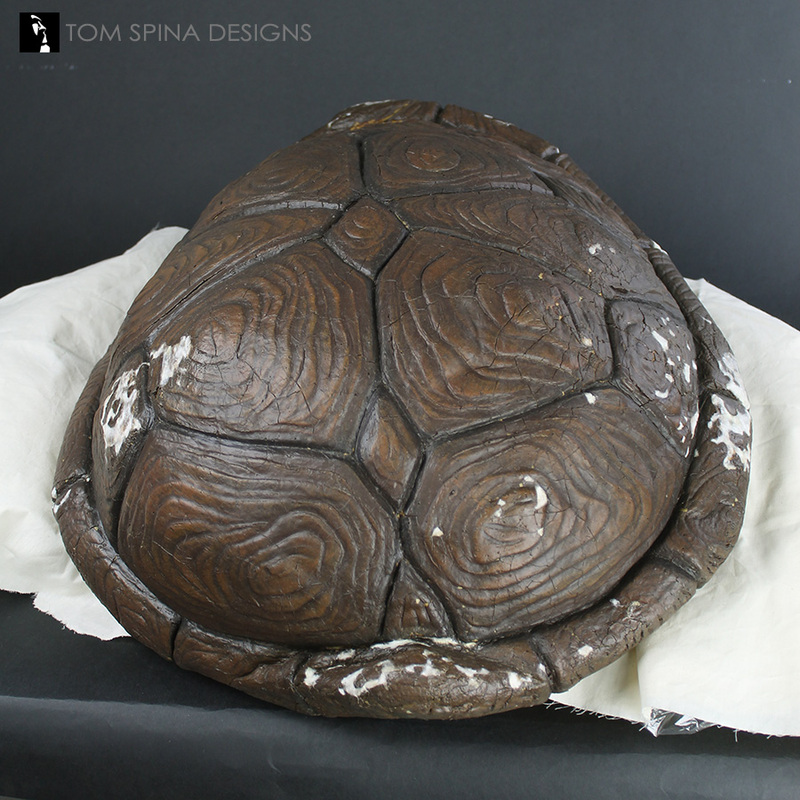 We were careful to match the texture of the surrounding material, so when we painted our repairs, and only our repairs, leaving as much original paint from the TV show intact, the results would be virtually seamless. 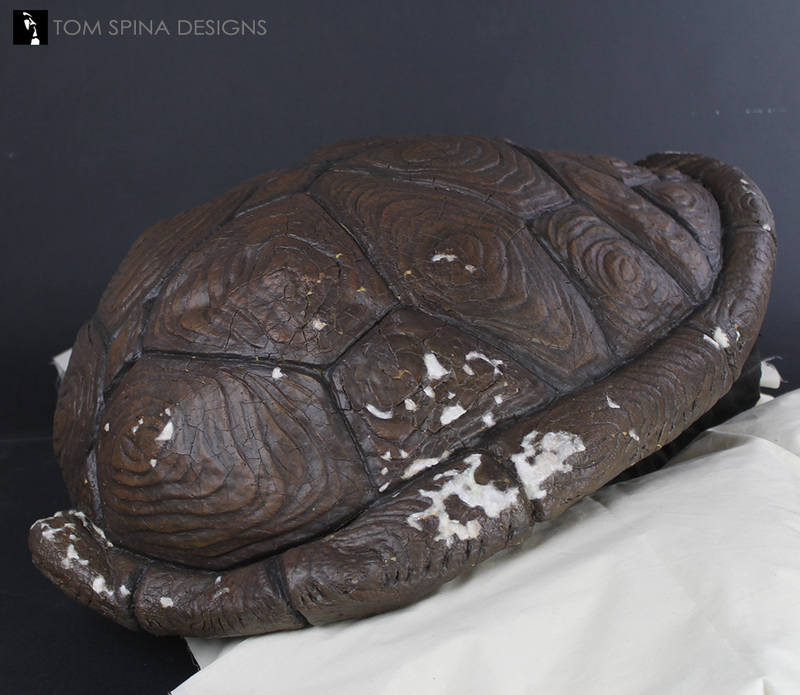 We took a very balanced approach to the repairs as we do with many of our restorations. 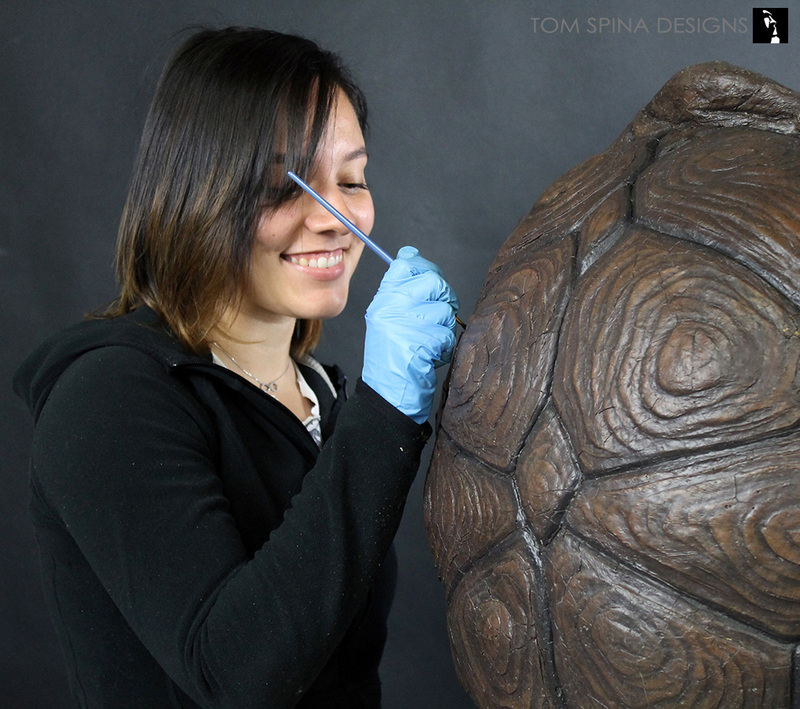 We focused on repairing the larger more visually intrusive damage while focusing on conservation for the bulk of the TMNT costume shell, leaving as much untouched as possible to preserve the history of the piece and the famed Chiodo Brothers studio’s wonderful work from that series. 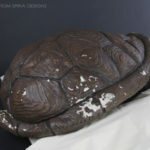 When all of the patches were finished, we carefully painted the new material to match the surrounding original material. 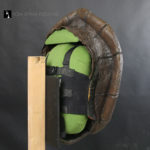 The key with this process is to make the patches become virtually invisible. 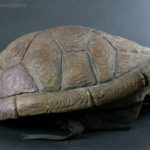 But this can be time consuming and tricky to get each color correct. 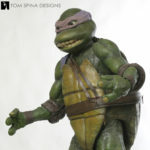 Luckily our artists have had a lot of practice with the Ninja Turtle costumes. 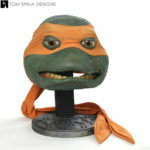 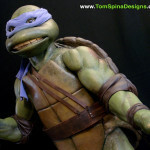 Click here to see our other TMNT costume restorations.